Muslims for Progressive Values (MPV) is an inclusive community rooted in the traditional Qur’anic ideals of human dignity and social justice. We welcome all who are interested in discussing, promoting and working for the implementation of progressive values — human rights, freedom of expression, and separation of church and state — as well as inclusive and tolerant understandings of Islam. The goal of Literary Zikr is to revitalize discourse on Islamic theology (and the lived realities of contemporary Muslims) by introducing thought-provoking and rigorously researched scholarship to a young audience. Literary Zikr is a website that will provide the academic works of world-renowned scholars of Islam in simple and youth-friendly language. By bringing together scholars of progressive Islamic thought and Muslim youth in search of answers, we hope to bridge the gap that often exists between theory and practice while also expanding the reach of the important and invigorating scholarship of academicians. CLICK HERE TO READ MORE​​. Progressive Muslim Identites - This book offers to answer the question often asked "where are the progressive Muslims?" 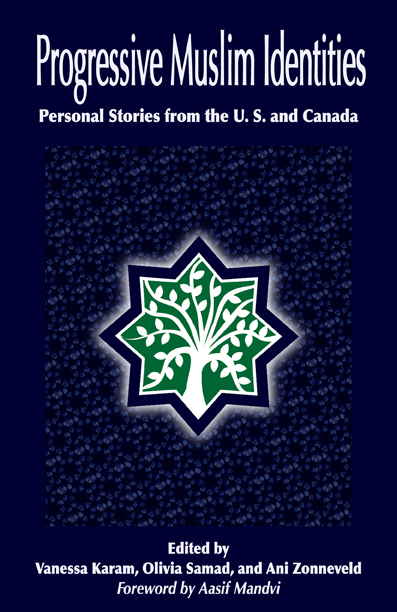 Here progressive voices of gay, straight, black, white and brown Muslims from the United States and Canada narrate their personal stories. Their powerful voices highlight human dignity, freedom to choose how one lives out one's faith and the inner strength it takes to live out those ideals. For orders above 10 books, contact us for discounted shipping. ​Related Reading: "Battling for gay rights, in Allah's name"
Please support our progressive Muslim community. Read about us on HuffingtonPost! Use the Contact Us form for more information. Thank you Nicholas Kristof for referencing our press release, 9/22/2012. 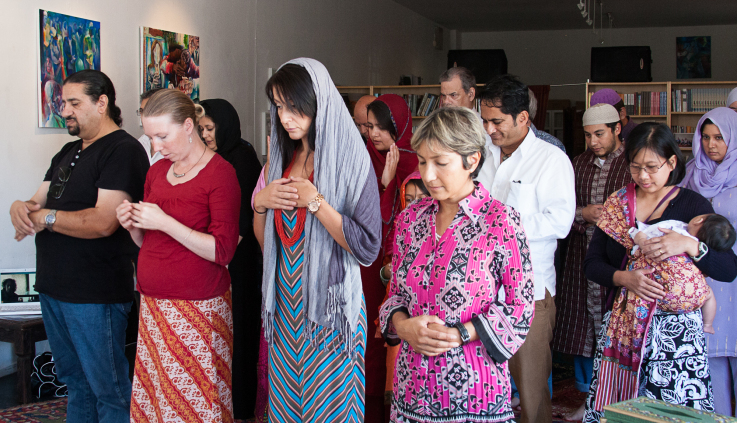 ​MPV is an inclusive community where all, regardelss of denomination, straight, LGBTQ Muslims and those in mixed faith relationships are welcome. We invite men, women and transgender to do the azan, give the khubahs and lead prayer. We believe Islam is egalitarian and we practice what we preach.